Justin Timberlake won three People's Choice Awards last night in Los Angeles. Yes, he spent more time on stage than in his seat. So what does a man do to celebrate such a momentous occasion? 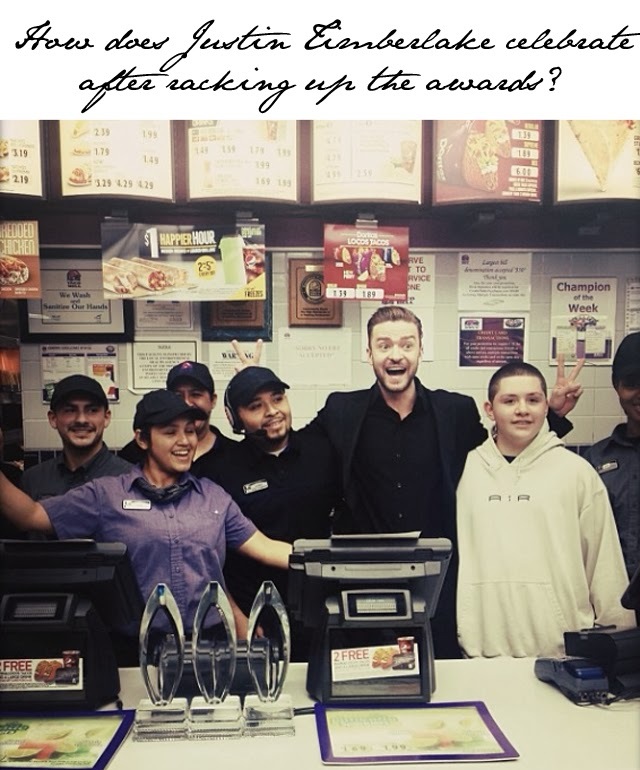 Well, if you're Justin Timberlake, you head to Taco Bell in LA. The singer/actor/husband to Jessica Biel, headed straight for the Bell to grab a taco or taco. No details yet on what he ordered, but he was cool enough to pose with the staff in an epic image he later shared on Instagram. Honestly, we love him all the more for it so of course had to share!